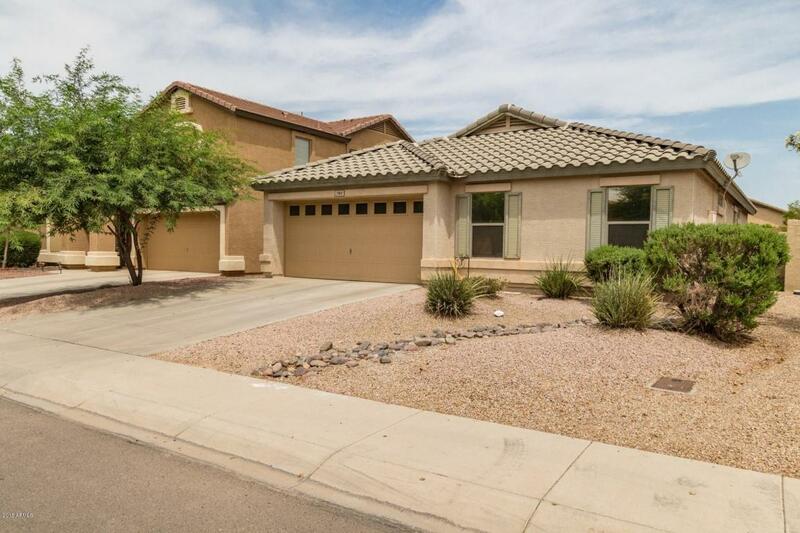 Absolutely Charming single level Home with lots of personality and spacious open floor plan. 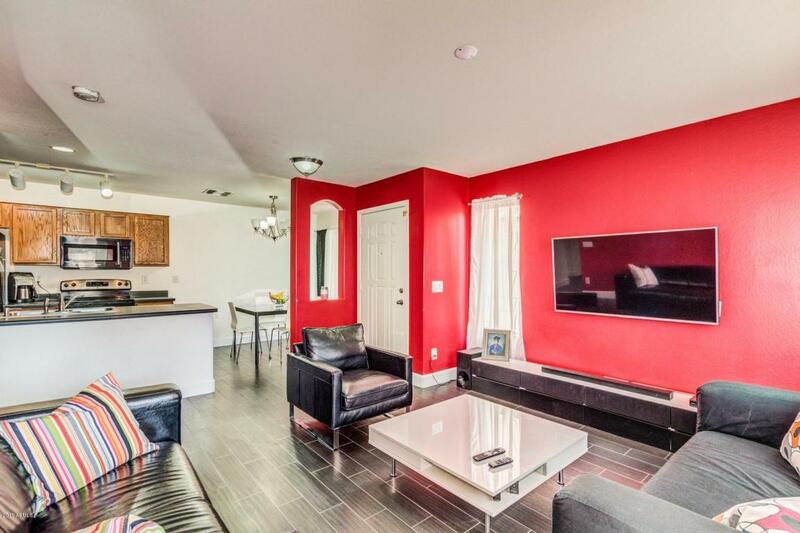 Beautiful wood ''look'' tile floor throughout, upgraded lighting, and French door to patio. Stylish kitchen counters, SS appliances, and wood cabinets. Formal dining area. Grand master retreat offers lots of natural light and private en suite. 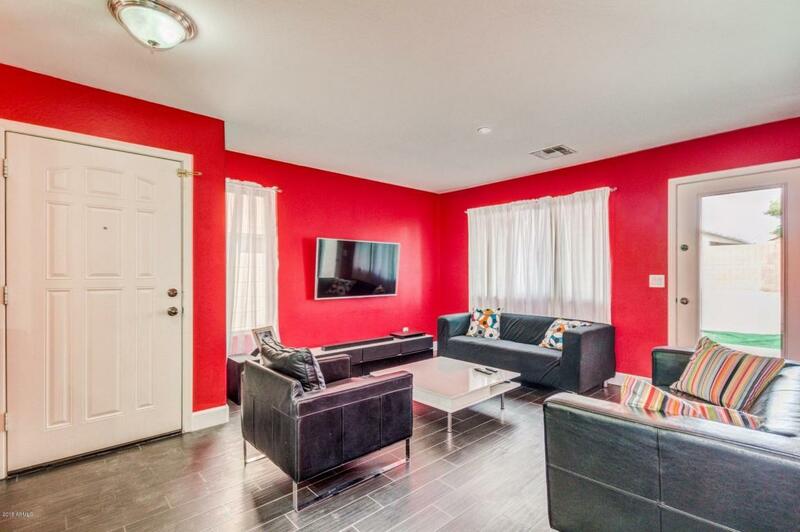 Ample closets, ceiling fans, and 2 baths. 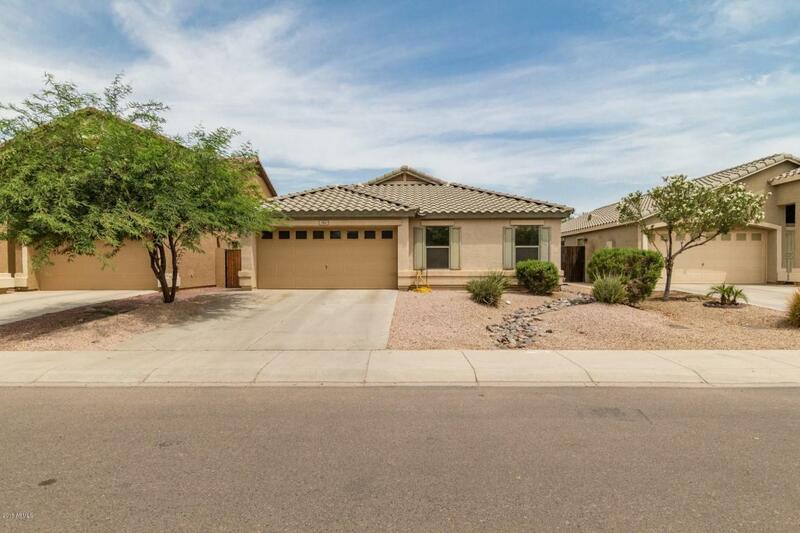 Huge backyard is a blank canvas for your future desert oasis. Community Playground & Paths. Will NOT last!